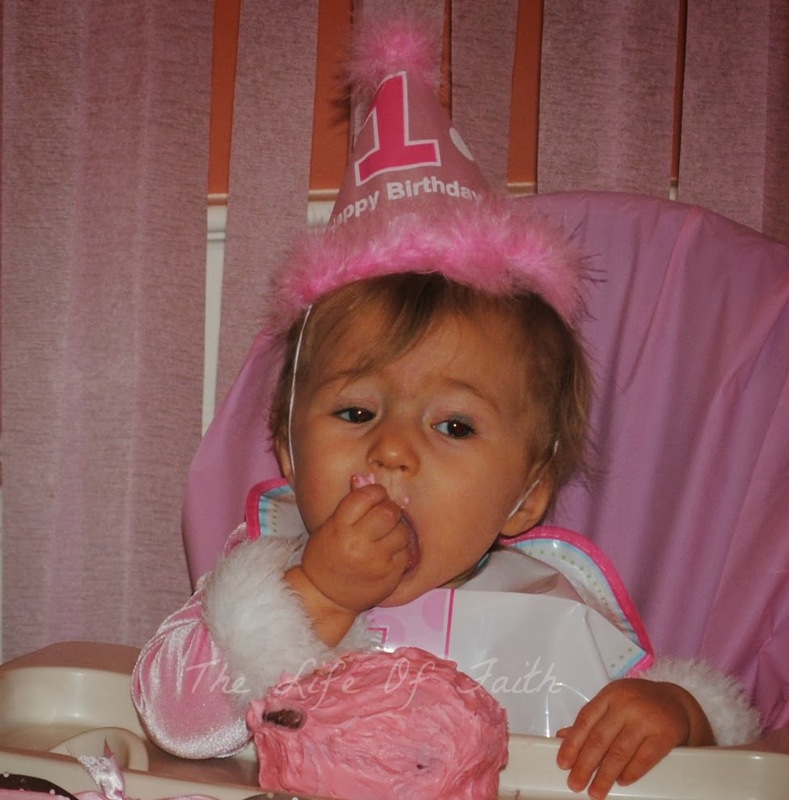 I realize this took place over a month ago but I still thought it would be fun to share some pictures from Sweet Pea's first birthday party! Here's our sweet birthday girl! 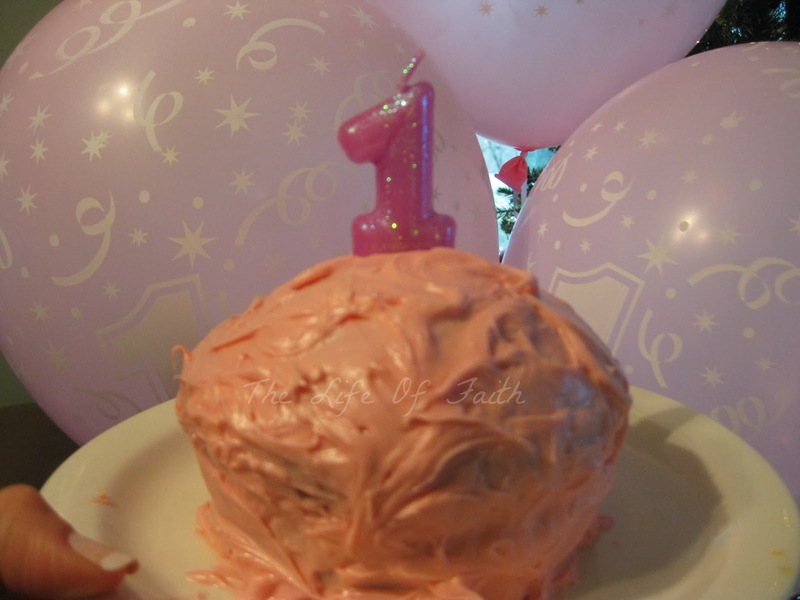 There is a lot of pressure surrounding first birthday's in today's world of blogging and Pinterest. There are so many great ideas out there, it's hard not to want to use them all. However, I had to realize that the most important thing was that I didn't get stressed and was able to enjoy the day with my birthday girl. And I did! It was a fun day full of wonderful memories. 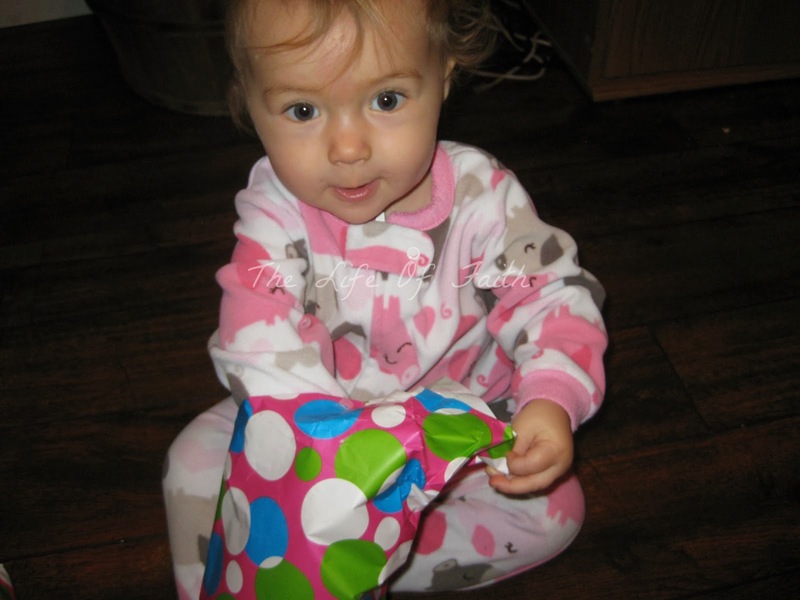 The best memories aren't even from her party but from her birthday morning when she woke up to open her gifts from us. 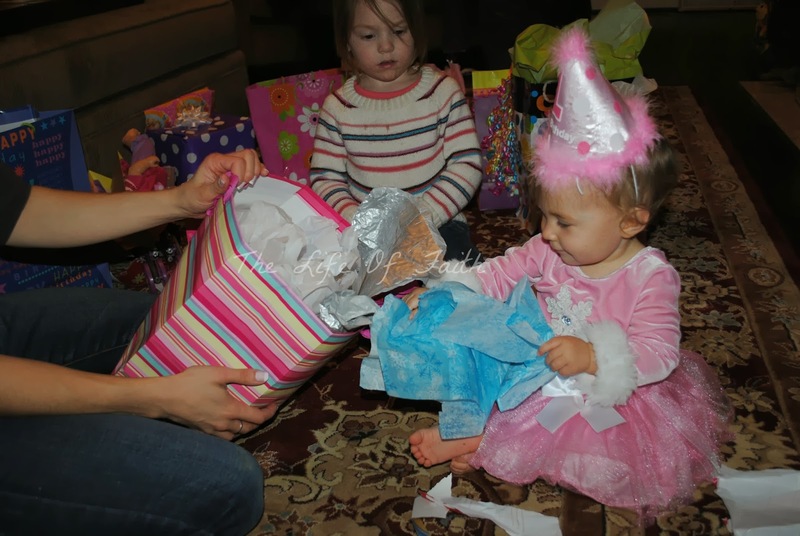 She was so excited to open them! We didn't get her anything big, but she loved her new toys from mom and dad! This is her special cake! 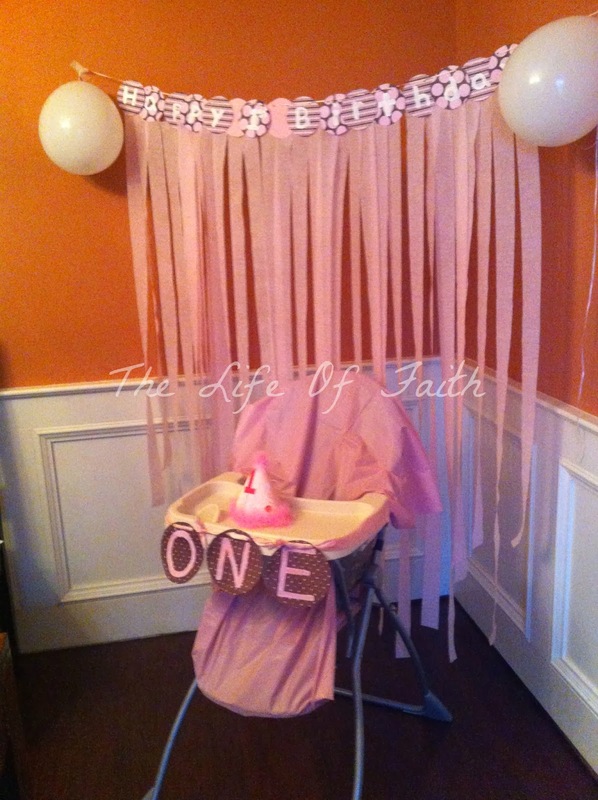 My favorite decoration was her 12 months of photos. I'm so glad I stuck with it and have those memories! 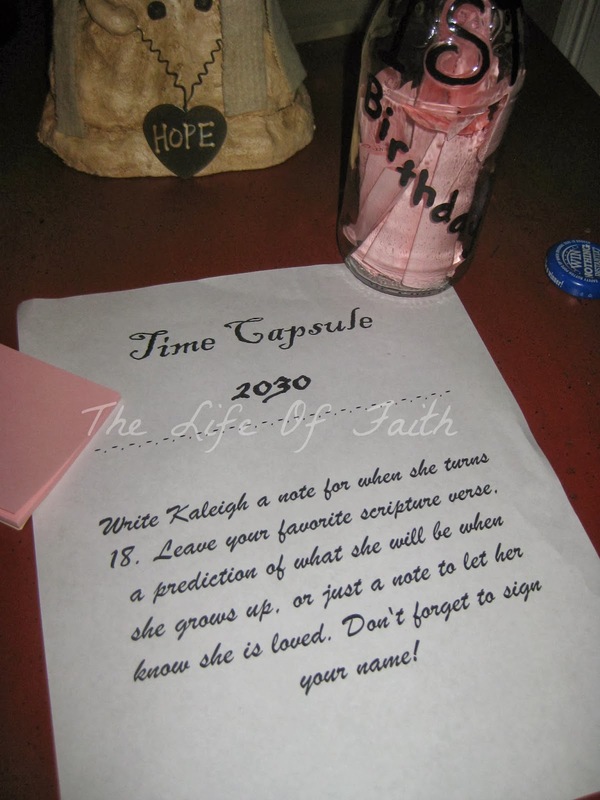 We also set up a time capsule for people to write notes, Bible verses or a prediction of what K will be like when she grows up. 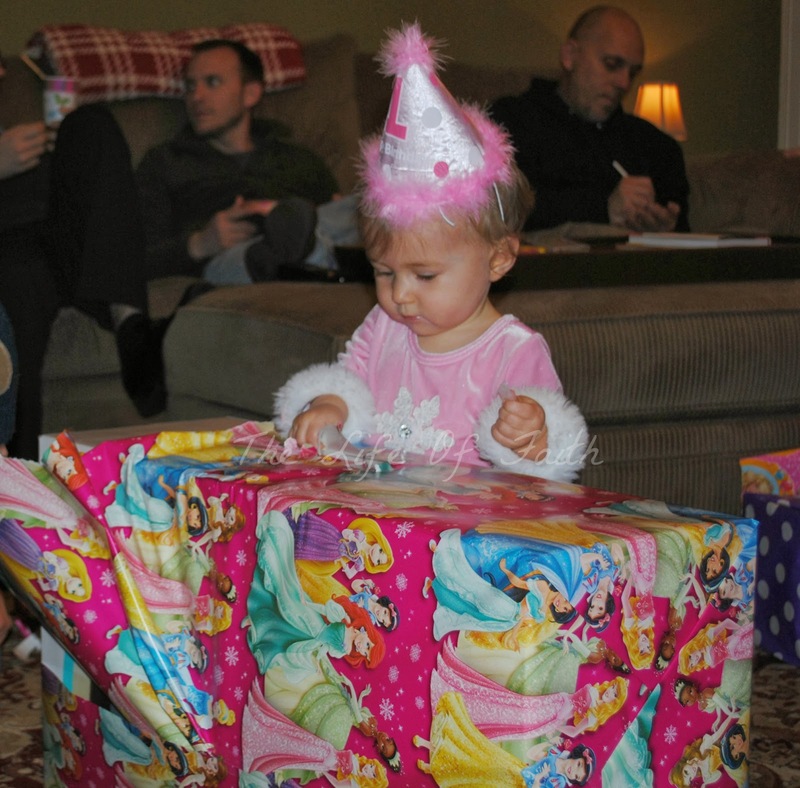 I'm excited for her to open it when she's 18! She hadn't had any sugar up until this moment! She wasn't sure what to do with herself! We are so blessed to have such wonderful friends and family who came to celebrate with us and brought awesome gifts for our sweet pea. 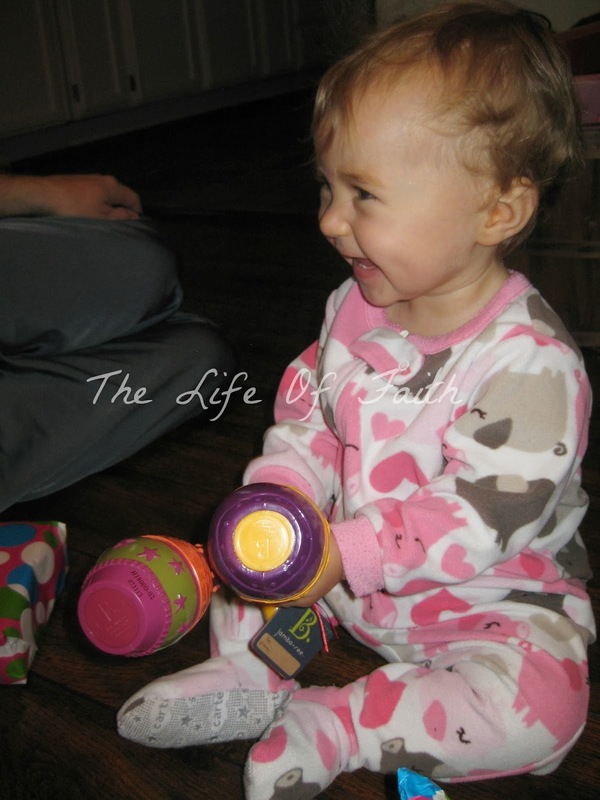 She had a blast opening them and playing with all her new toys! 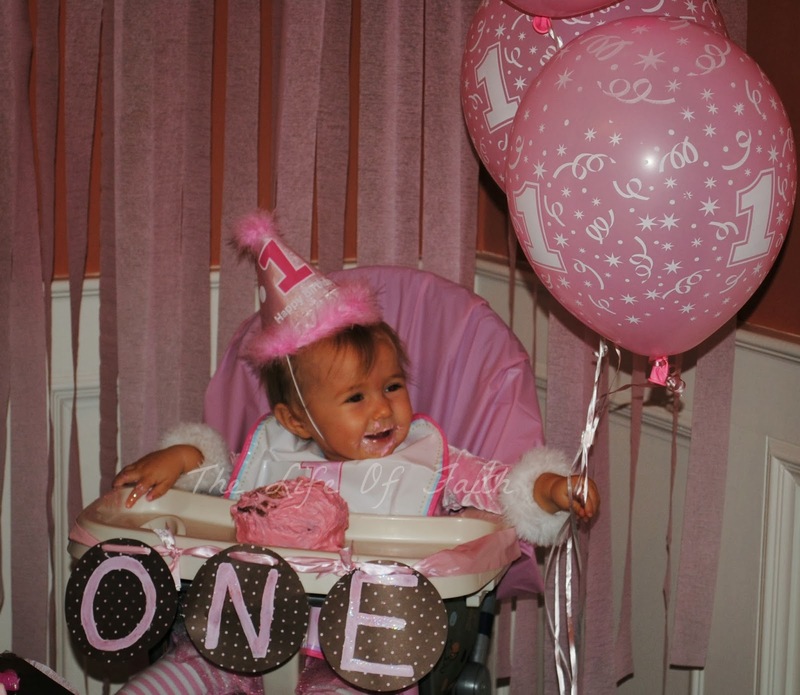 It was definitely the best first birthday a one year old could ask for! 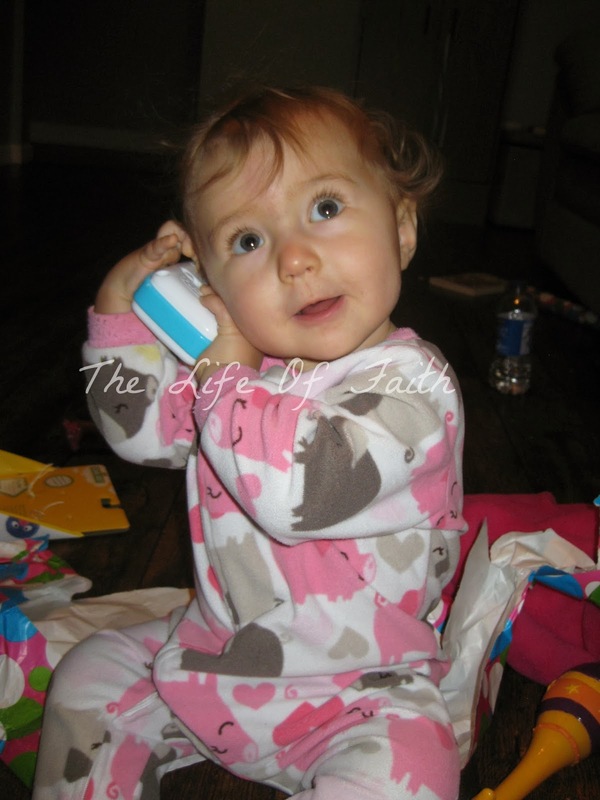 awww Love these photos.. She is so beautiful. I still think it's pretty awesome that so many of us had beautiful girls around the same time! 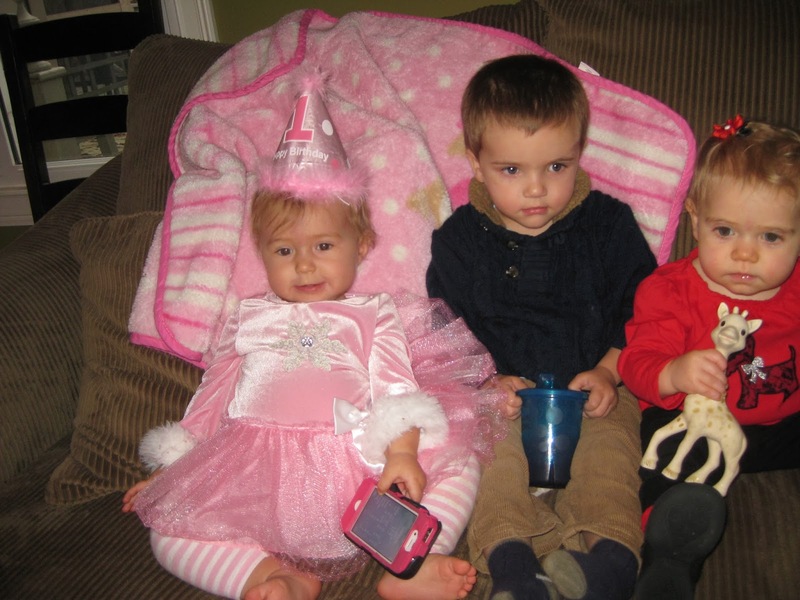 I love her birthday outfit - so cute! So so cute! I'm glad that her birthday was amazing! The time capsule is such a cool idea! 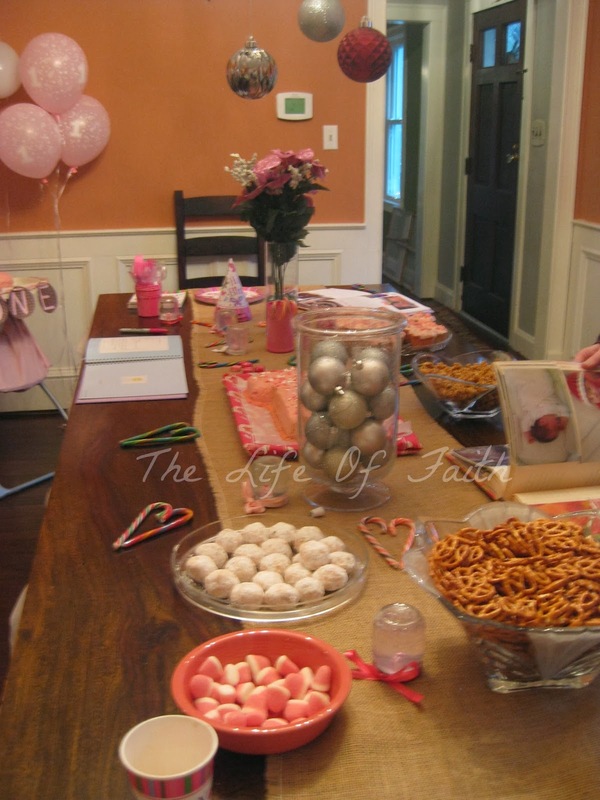 Looks like a perfect first birthday and party! 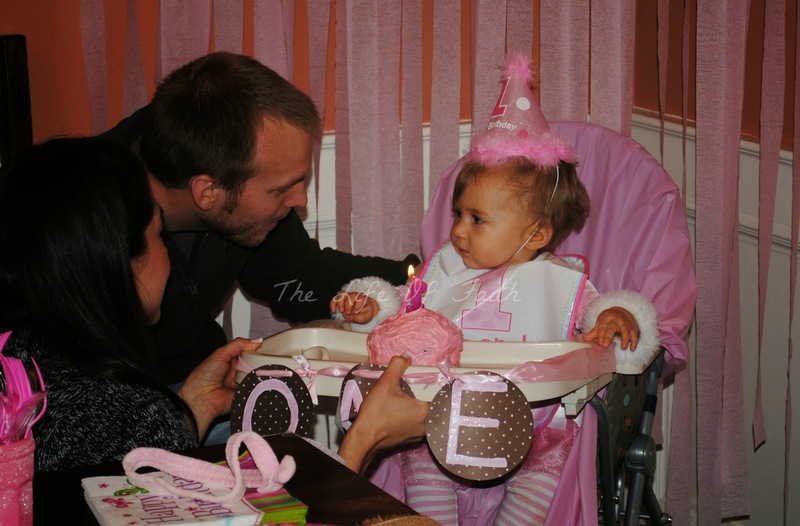 Congrats on a beautiful little girl! I can't believe she's wearing the hat! 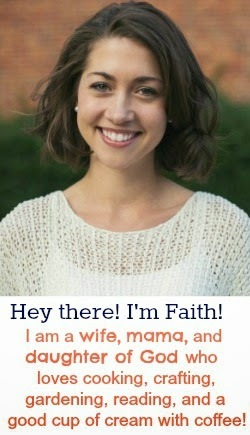 I guess because she's used to wearing the beautiful headbands you make. How much of the cake did she eat? Love it! Everything looked so pretty! 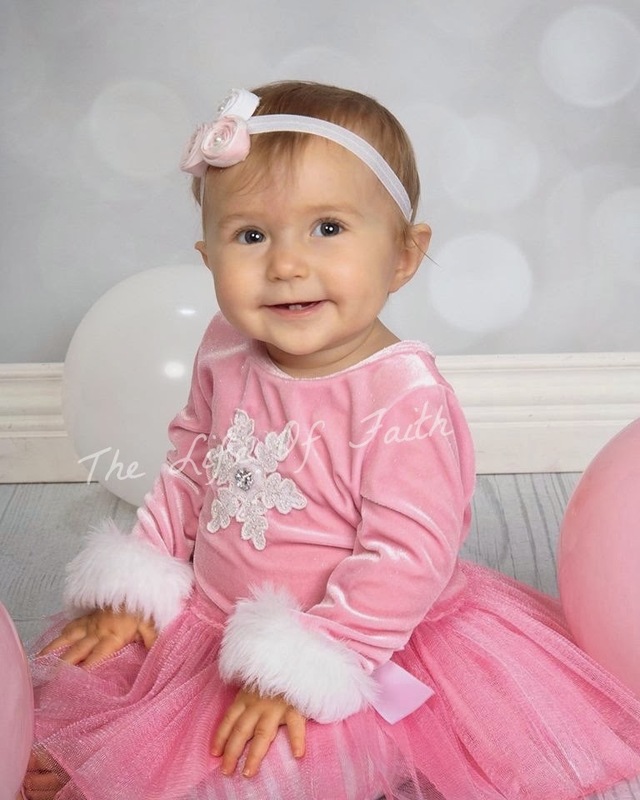 The first picture of her is so precious!